Paytm Launches Paytm Mall With 68 Million Products & 14000 Sellers On Day 1; Alibaba’s Grand Entry In India? Paytm has finally launched their separate e-commerce app called Paytm Mall, which is being described as a strategy for Alibaba’s grand entry into the competitive e-commerce marketplace in India. 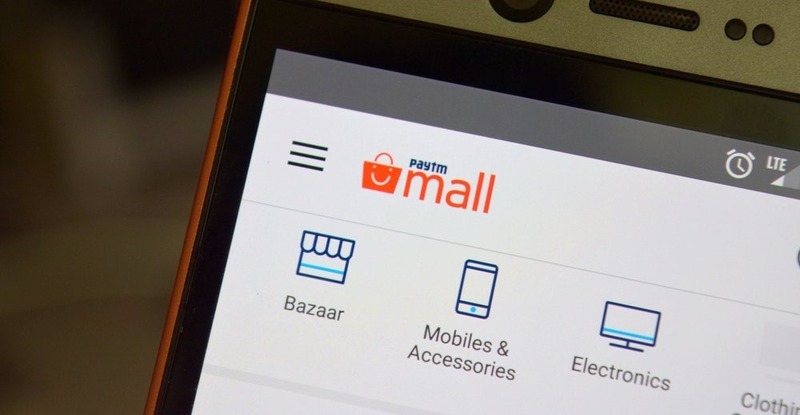 Already listed with 68 million products from 14,000 sellers, Paytm Mall has been launched as an Android app as of now. Some reports claim that a separate website has also been launched, but we were not able to access that, at the time of writing. However, the domains titled “Paytmmall.com” and “Paytmmall.in”, both are registered with One97 Communications, the parent company of Paytm. A separate Twitter account for PaytmMall has also been created. These facts leads to speculation that a website would be soon launched as well. As per initial vibes received, Paytm Mall is all set to aggressively target hot selling niches within online shopping, such as FMCG products, electronics and apparels from domestic and international brands. Besides, a separate section called Paytm Bazaar will focus on high-value products such as home furnishing. The statement revealed that Paytm Mall will strive to give an experience of both Mall and a Bazaar to their customers. Besides listing massive 68 million products from 14,000 sellers on Day 1, Paytm Mall will have exclusive access to 17 fulfilment centres across India, and use the network expertise of 40 courier partners for last mile connectivity. Paytm Mall’s all sellers would be able to access this logistics infrastructure for shipping deliveries across the country. Sellers from the top 20 cities would be able to keep their goods in any one of the partner warehouses provided by Paytm Mall, all payments made on the platform would be carried over by Paytm wallet. Alibaba’s Grand Entry in India Guaranteed Now? First of all, the very concept of Paytm Mall has been devised on T Mall, which Alibaba’s mobile-centric business to consumer marketplace in China. This is a very strong signal that Paytm Mall would be eventually acquired by Alibaba, which will enable that grand entry into the lucrative Indian e-commerce marketplace. And the signals were evident since long. In August last year, we reported that Paytm is looking for ways to create a separate e-commerce entity, which can be used by Alibaba for entering into India. In October, Paytm created their separate ecommerce entity called Paytm E-Commerce Pvt. Ltd., which has now launched Paytm Mall, targeting only Android users, something which T-Mall from Alibaba is known to be specialised for. Hence, in a way, Paytm’s 147 million wallet users and 80 million active users who transacted record 1 billion times last year, would be now part of Paytm Mall by default; thereby giving Alibaba an excellent start in India. Paytm had reported that they have crossed GMV of $5 billion in November 2016, and 20-25% of that came via Paytm’s online marketplace, which is now part of Paytm Mall. The battle lines have been clearly drawn, when it comes to e-commerce marketplace: It is Flipkart vs Amazon Vs Alibaba, and the first shots have been fired. How will Paytm Mall and Alibaba’s entry influence Indian ecommerce market? Do let us know by commenting right here! "Paytm Launches Paytm Mall With 68 Million Products & 14000 Sellers On Day 1; Alibaba’s Grand Entry In India? ", 5 out of 5 based on 3 ratings. Reliance Jio Partners With AirWire to Launch a Smart Car Device!